AYPC Services – Page 3 – All about Tech! The nice and renice commands let you fine-tune how the kernel treats your processes by adjusting their priorities. Read this tutorial to learn how to use them in Linux and Unix-like operating systems such as macOS. Inside your Linux or Unix-like computer, there will be many processes running even before you launch the application you want to use. The majority of these processes are vital elements of Linux itself or supporting processes for your graphical desktop environment. There’s a lot going on behind the scenes. Of course, there are only so many system resources and CPU time to go around. The Linux kernel is the controller for all of these processes. It is the kernel that has to decide which processes get attention and resources right now, and which ones have to wait. The kernel is continually juggling processes and priorities to ensure that the computer runs as smoothly as it can and that all processes get their appropriate share. Some processes get preferential treatment. They are so important to the general operation of the computer that their needs have to come first ahead of, say, your browser. One of the criteria used to determine how the kernel treats a process is the nice value. Every process has a nice value. The nice value is an integer in the range of -19 to 20. All standard processes are launched with a nice value of zero. The trick here is that the higher the nice value, the nicer your process is being to the other processes. In other words, a high nice value tells the kernel that this process is happy to wait. A negative number is the opposite of being nice. The larger the negative nice value, the more selfish the process is. It is trying to get as much CPU time as it can, with no regard for the other processes. We can use the nice command to set the nice value when a process is launched and we can use renice to adjust the nice value of a running process. We can use the nice command to adjust the nice value for a program as we launch it. This allows us to increase or decrease the priority given to the process by the kernel, relative to the other processes. Windows 10’s new Sandbox feature lets you safely test programs and files downloaded from the internet by running them in a secure container. It’s easy to use, but its settings are buried in a text-based configuration file. This feature is part of Windows 10’s May 2019 Update. Once you’ve installed the update, you’ll also have to be using the Professional, Enterprise, or Education editions of Windows 10. It isn’t available on Windows 10 Home. But, if it is available on your system, you can easily activate the Sandbox feature and then launch it from the Start menu. Sandbox will launch, make a copy of your current Windows operating system, remove access to your personal folders, and give you a clean Windows desktop with internet access. Before Microsoft added this configuration file, you couldn’t customize Sandbox at all. If you didn’t want internet access, you normally had to disable it right after launch. If you needed access to files on your host system, you had to copy and paste them into Sandbox. And, if you wanted particular third-party programs installed, you had to install them after launching Sandbox. Because Windows Sandbox deletes its instance entirely when close it, you had to go through that process of customization every time you launch. On the one hand, that makes for a more secure system. If something goes wrong, close the Sandbox, and everything gets deleted. On the other hand, if you need to make changes regularly, having to do this on every launch gets frustrating quickly. To alleviate that issue, Microsoft introduced a configuration feature for Windows Sandbox. Using XML files, you can launch Windows Sandbox with set parameters. You can tighten or loosen the sandbox’s restrictions. For example, you can disable the internet connection, configure shared folders with your host copy of Windows 10, or run a script to install applications. The options are a bit limited in the first release of the Sandbox feature, but Microsoft will probably add more in future updates to Windows 10. Your sandboxed copy of Windows 10 can have access to a shared folder on your host operating system. This guide assumes you have already set up Sandbox for general use. If you haven’t done yet, you’ll need to enable it first with the Windows Features dialog. To get started, you’ll need Notepad or your favorite text editor—we like Notepad++—and a blank new file. You’ll be creating an XML file for configuration. While familiarity with the XML coding language is helpful, it’s not necessary. Once you have your file in place, you’ll save it with a .wsb extension (think Windows Sand Box.) Double-clicking the file will launch Sandbox with the specified configuration. Right now, you can grab a Google Home Mini for just $24. That’s a 50% discount on one of the most popular smarthome devices. If you want to grab a Google Home Mini for each room in your house, check out Massgenie’s $68 Home Mini 3-Pack. 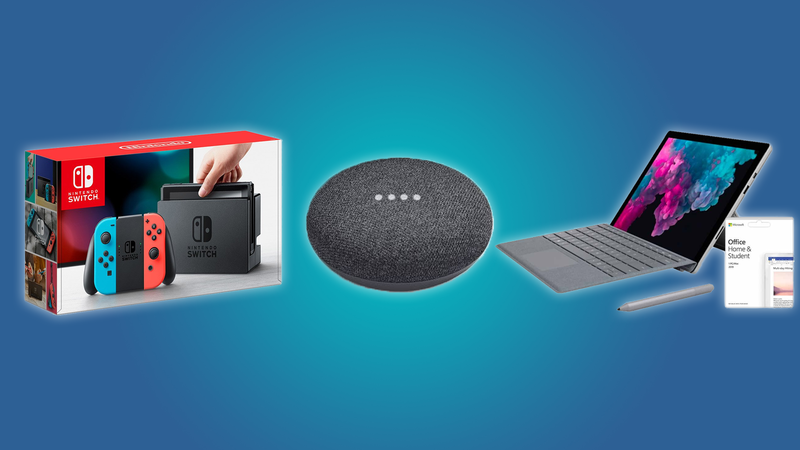 Of course, you might be more interested in the $260 Nintendo Switch from Massgenie, or the $650 Surface Pro 6 + Office Home 2019 from Best Buy (the lowest price we’ve seen for the Pro 6). Is your old computer falling apart? Maybe it’s time to upgrade at a discount. Upgrade your computer storage or authenticate that Windows 10 license you’ve been using. Upgrade your phone or grab a $200 Apple Watch. Is your home falling behind the times? Today’s the day to buy a Google smarthome products at a discount. Did you spend your Easter weekend in a state of debilitating boredom? Now’s your chance to grab a cheap Switch and some discounted PC games. Upgrade your audio equipment or invest in a cheap 50″ TV. Grab some free Ms. Marvel comics or take 53% off delicious Lindt chocolates. Even though the Apple TV stands well on its own two feet, sometimes adding just the right mix of accessories can give it that little bit extra. Apple doesn’t give you much in the box—just the Apple TV, a power cable, the Siri Remote, and a Lightning cable—so you’ll need to pick up an HDMI cable of your own at the very least. While you’re shopping for something that really should be in the box already, why not treat your Apple TV to a couple more new friends, too? Not all of these accessories are as vital as the aforementioned HDMI cable, but we do think that each and every one of them will enhance your Apple TV-watching experience. Apple’s decision not to ship the Apple TV with its own HDMI cable seems like a silly cost-saving measure, but fortunately, good HDMI cables are inexpensive. If you want the best picture and sound from your Apple TV, you owe it to yourself to choose a cable that meets the standards required. 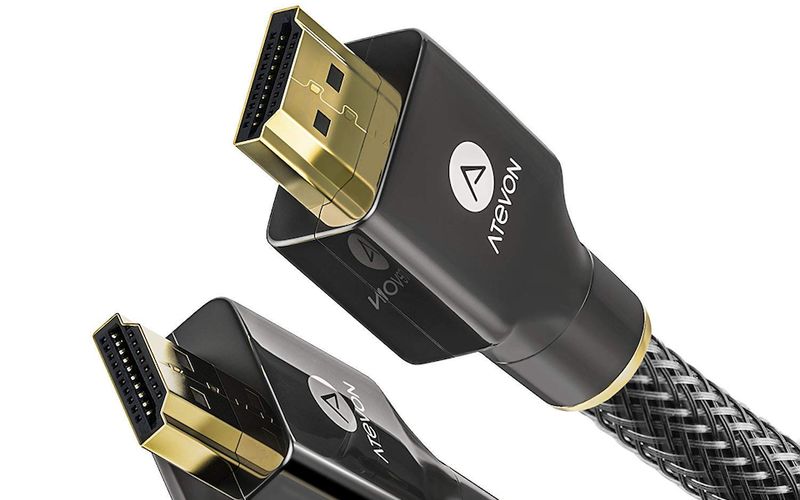 The Atevon High Speed HDMI Cable does that, thanks to its 18Gbps throughput and HDMI 2.0 compliance. It’s good for 4K HDR and 60Hz, and it’s HDCP 2.2 capable so you won’t experience any copy protection issues, either. Support for Audio Return (ARC) and 4:4:4 chroma rounds out the features. And it’s not particularly costly for a lengthy 6ft cable, either. The Siri Remote is fine but it’s so slender and easy to lose. The solution? 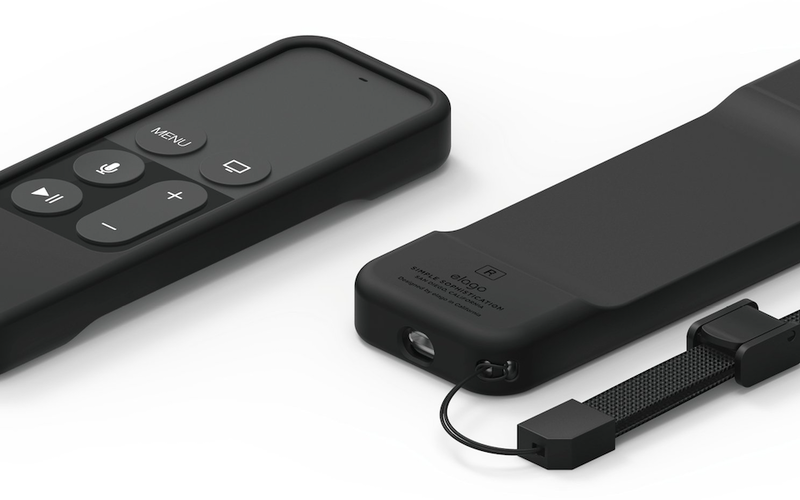 Put it in a case that makes the remote much more ergonomic and easier to hold—a case like the Elago Intelli Case. The Intelli Case is available in a handful of colors, but no matter which color you go for you’ll get a case that makes it easier to hold your Siri Remote and, gloriously, make it less likely to disappear down the back of a sofa cushion. For an added bonus, the case also has a built-in magnet, so you can attach it to any metal object around the home. You need never lose your Siri Remote again. 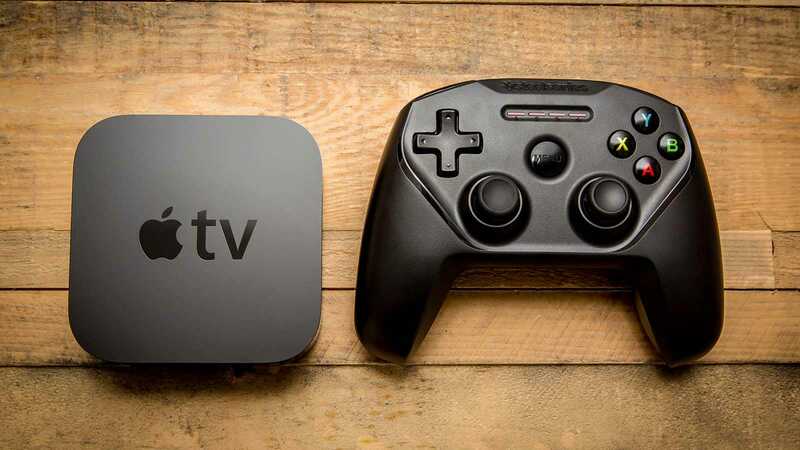 Apple keeps trying to turn the Apple TV into a game console, with limited success. That’s a shame because there are some great games in the App Store that are perfect for couch play. 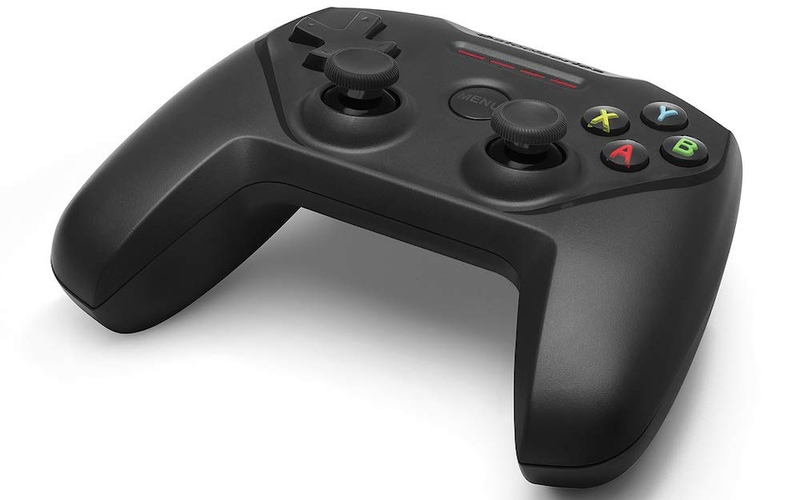 You’ll need an MFi controller if you want to enjoy them to their fullest, and the SteelSeries Nimbus is the pick of the bunch.